Florida’s multiple coastlines are named according to their history and surrounding attractions. For example our “First Coast” area which includes Amelia Island down to St. Augustine refers to both the first permanent European settlement in St. Augustine and the fact that it is the first coast within Florida that folks encounter while traveling southbound down the Atlantic seaboard. Other Florida monikers include Space Coast, Treasure Coast, Gold Coast and more, but my favorite is the Forgotten Coast, a 90-mile stretch on the other side of the state, about a three-and-a half hour, 225-mile drive from Amelia Island. This 90-mile area on the Gulf of Mexico on the south side of the Florida panhandle was dubbed the Forgotten Coast due to the fact that developers ignored that remote section of north Florida coastline leaving it free of gaudy hotels, resorts, neon lights, chain restaurants and cookie-cutter condos. Instead of looking like the Tampa Bay, Miami, and Pensacola area’s crowded and cramped beaches clogged with traffic and fast food joints, the area is filled with quaint old-Florida style beaches, curious towns, funky bars and eateries and whacky festivals. However, local entrepreneurs along this remote coast came to the conclusion that despite the quaintness of being “forgotten” it wasn’t particularly profitable, as they watched car loads of tourists bypassing area towns to freely spend their cash on Florida’s coasts west, east and south of them. So in the early 1990s the business folks of the Apalachicola Bay Chamber of Commerce decided that being forgotten wasn’t good for business and decided to capitalize on the “Forgotten Coast” moniker, registering it as an official trademark to ensure it would be remembered, albeit in a profitable manner. This still mostly underdeveloped section of coastline, which stretches from Mexico Beach just southeast of Panama City to St. Marks south of Tallahassee, refreshingly retains its funkiness. Highway 98 runs through the entire area providing motorists many scenic unobstructed Gulf views along the way. Folks headed in that direction might want to make their first Forgotten Coast stop in the town with one of Florida’s most unusual names and oddest festivals — Sopchoppy — on route 319 that loops around Highway 98. Sopchoppy, founded in 1894 as a depot for a railroad, was laid out and designed to attract new residents to the area, and has retained much of its original charm, particularly for folks seeking outdoor activities and a small-town-America atmosphere of houses fronted with white picket fences. 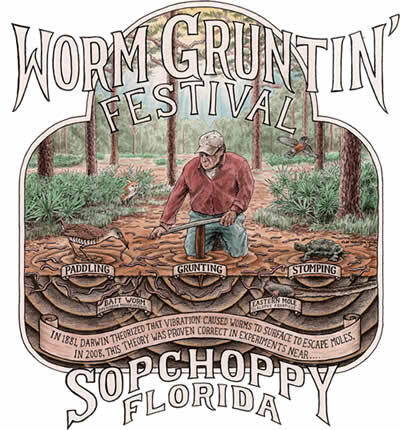 If you go to Sopchoppy, do so during the annual Worm Grunting Festival, the second Saturday in April each year, an event that makes chamber of commerce members grunt with happiness as this event is as unforgettable as it sounds. This bizarre annual festival has earned Sopchoppy the title of Worm Gruntin’ Capital of the World. Worm Gruntin’ starts with hammering a piece of wood into the ground then rubbing it with a piece of iron to create “grunting” vibrations in the soil that encourages worms to wiggle to the surface to see what’s going on. They are then caught by fishermen and used for bait. You can try the technique yourself during the festivities, in fact you’re encouraged to do so. 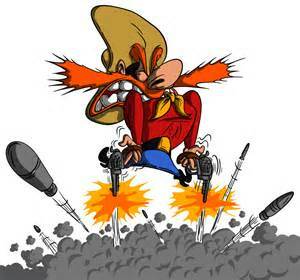 If grunting for worms isn’t your thing the area surrounding Sopchoppy is filled with a diverse collection of fishing spots, wildlife, outfitters, guides and camping areas. There are also a number of local motels and B&B’s. For example Sopchoppy and the surrounding area have a variety of lodging options to choose from. For camping there is Sopchoppy City Park, Ochlockonee River State Park, Holiday Park and Campground and Newport Campground. For hotels, motels and lodges, there are Sweet Magnolia Inn, Best Western Plus, Wakulla Springs Lodge and The Magnuson. For more information about Sopchoppy and the festival go to www.sopchoppy.org. Grunting for worms can build an appetite so upon leaving Sopchoppy, hungry travelers have a choice of heading south for oysters or west for smoked mullet. If smoked mullet piques your interest and you’ve never experienced this Florida cracker delicacy, you’re in for a treat if you go just outside the Forgotten Coast’s west endpoint to the town of Niceville, a place that got its name because residents thought it sounded nicer than the original name of Boggy. And they were right. Until about 20 years ago handwritten “Smked Mullit Ahed” signs used to dot Florida’s Gulf Coast area roadways and prior to elections local politicians drove pickup trucks brimming with smoked mullet filets they handed out to prospective voters. But state government gill net regulations put an end to hauling in tons of what the bureaucrats said was a shrinking mullet population. 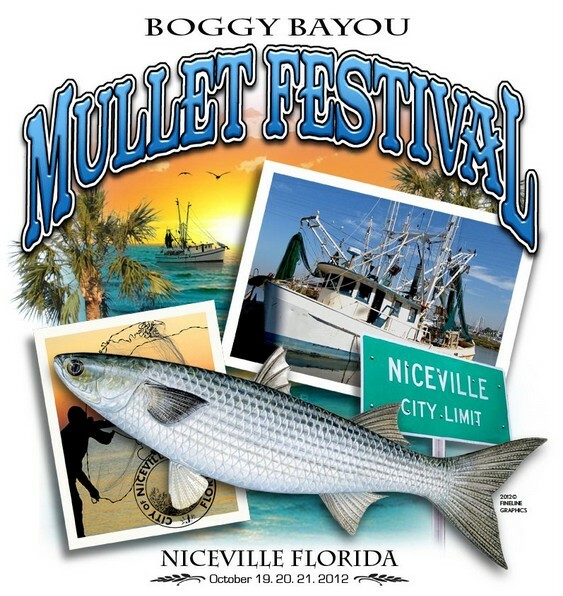 But mullet are still plentiful as visitors to Niceville will see when they attend the October 20-22 Boggy Bayou Mullet Festival, an annual music and food event in friendly, nicely named Niceville, which is just inside the invisible border of the Emerald Coast, but you can’t get this close and not go there. In addition to food, ranging from smoked and fried mullet to alligator on a stick and crawfish bread, the Boggy Bayou Mullet celebration is notorious as one of the South’s premier country music events in a small venue with Vince Gill, Trace Adkins, Travis Tritt and Kenny Rogers headlining past festivals. And if the smoked mullet, country music headliners, and the town’s name aren’t enough to entice you to visit Niceville how about the fact that you’re probably safer here than almost anywhere else in the Sunshine Sate? According to Movoto, a real estate Web site, Niceville is Florida’s 8th safest city, based on data it says comes from the FBI. For more information about this unusual town go to www.cityofniceville.org. Smack in the middle of the Forgotten Coast is the town of Apalachicola, another unspoiled town of some 3,000 residents that boasts boutiques, funky dining spots, and quirky oyster joints. If you’ve ever eaten an oyster anywhere in the United States, chances are it came from Apalachicola. Getting here is part of the adventure as there is no convenient interstate or airport with Tallahassee, some 80 miles northeast, the largest city. But once you make it there are plenty of bed-and-breakfasts here as well as several hotels. Once the third largest port on the Gulf of Mexico, Apalachicola boasts hundreds of historic homes, buildings and sites in the city’s Historic District which is considered a “distinctive destination” by the National Trust for Historic Preservation. Apalachicola’s maritime culture is reflected on its waterfront where visitors will see bustling seafood houses, shrimp boats and stately 19th century brick buildings, net factories and warehouses. Boutiques, galleries and restaurants are tucked into nooks and crannies throughout the historic downtown commercial district. The town features restored hotels and B&Bs as well as upscale waterfront accommodations. Apalachicola’s history and maritime culture are complimented by the area’s natural resources. The Apalachicola River and Apalachicola Bay are popular fishing spots for both fresh and salt water fishing anglers while outdoor enthusiasts can explore the bays and waterways by kayak, canoe, riverboat or sailboat. 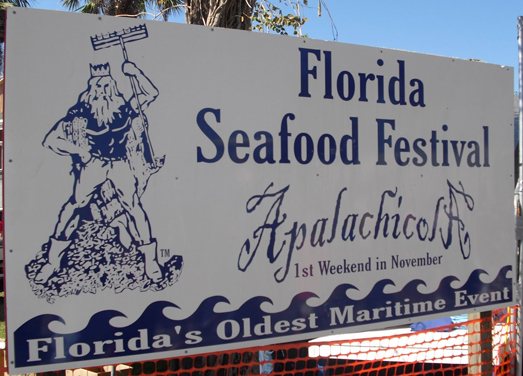 Seafood enthusiasts should mark this November 3-4 on their calendars to celebrate the 54th Annual Florida Seafood Festival that attracts thousands of visitors to Apalachicola. 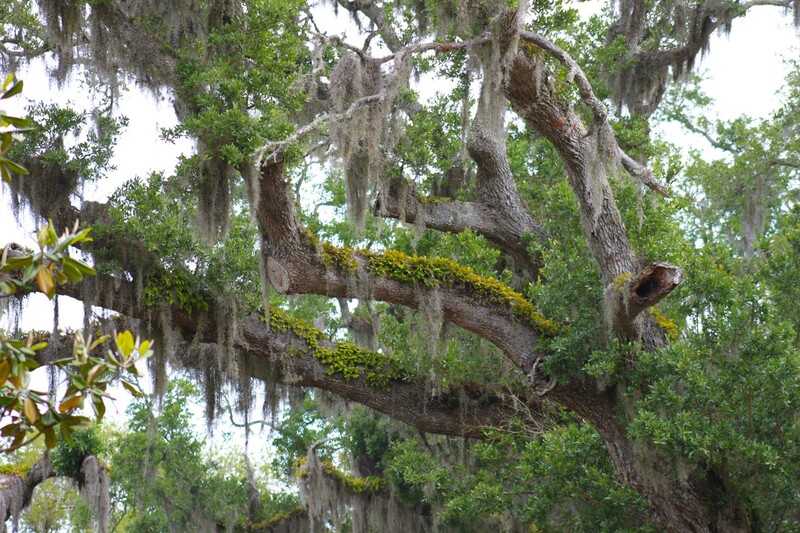 The Festival is held at the mouth of the Apalachicola river under the oaks of Apalachicola’s Battery Park. It features delicious seafood, arts and crafts exhibits, seafood related events and musical entertainment. Events include Oyster Eating and Oyster Shucking contests, Blue Crab Races, a downtown Parade, and the Blessing of the Fleet. For additional information go to www.floridaseafoodfestival.com. Apalachicola celebrates its oyster heritage in January when it conducts its annual Oyster Cook-Off January 12-13 next year. It obviously features oysters, as well as shrimp, smoked mullet, hot dogs, hamburgers, local beer, live music, kids’ activities, and dancing performances. If you think you’re any good at cooking oysters, enter your recipe to be a contestant in the cook-off. Check it out at http://www.oystercookoff.com/. May We Have Some Justice Please? How can former U.S. Congresswoman Corrine Brown (D-FL), who was found guilty of 18 out of 22 counts, walk out of a courtroom and go home instead of directly to jail where she belongs? This despicable harpy cheated the taxpayers, lied to her constituents and the court, and stole from a children’s charity. She belongs in the slammer for the rest of her miserable life. Marketing Genius: My good friend Cal Atwood recently ordered a padded shower chair and shared with me a letter he received from the folks that build and sell the devices, saying that he thinks it is one of the best pieces of marketing correspondence he’s ever received. I agree with Cal and I’m thinking that it’s probably a lot of fun to work at the Platinum Health Group, the company responsible for Cal’s purchase. Hello Calvin, it’s Chelsea here. I just wanted to say “thank you so much” for your order of the ComfortAble Padded Shower Chair. If you have any assembly or operation related questions, we have an awesome, friendly service department (yep, you heard right-they are all super-friendly; no grumpy technicians allowed here!) that can answer any of your questions right away. Well, except for crusty Leo that is, but he’s not allowed to talk to customers anymore 🙂 All the guys and gals on our clinical support team have decades of front line healthcare experience and I promise you will love speaking with them. (helpful hint: if you happen to get nurse Dawn on the line, you’ll probably just need to cut her off at some point because she does NOT know when to stop talking) More good news- all of our amazing support staff are based right here in the USA so they are easy to get a hold of and easy to understand. Lastly, if there is any reason that you would NOT rate this transaction as a 5-star experience, please let us know right away and we will do everything we can to make it right. I like the idea of having a corporate officer with the title of Chief Happiness Officer, a company with a sense of humor, and one that produces good product. It doesn’t get much better than that. If I’m ever in need of one of their products, they’ll certainly have my business. A Buggy Bond: Because termites thrive in Florida’s moisture, and can destroy or severely damage a house we contracted with an area firm to provide preventive treatment and repair of any damages caused by “wood destroying organisms,” which we were told covered termites, and based on what I read, our contract confirmed that to be so. We’ve had the contract with this firm for close to five years, paying an annual fee, and the company sends out inspectors a few times a year to check the property to ensure there are no critters are using our house as an all-you-can-eat buffet. However, the last time a fellow from the company showed up he told us that we need additional protection because our contract doesn’t include defense against “drywood termites.” He said if we acted now we could have this $400 annual drywood termite protection added for just $125 extra a year. He didn’t even offer a free set of cocktail glasses or a set of Gensu knives. I originally purchased the contract to protect our property against termites as a termite is a termite in my book. I’m wrong according to this guy. My car insurance policy says if somebody hits me with their car, the insurance company will pay for the damage. It doesn’t specify that the policy is void if the driver is behind the wheel of a 1984 Buick coup or a 2017 Bentley and his name is Fred, and not George. Personally I think this “drywood termite” nonsense is a rip off and I’m currently seeking another company to provide annual protection against all termites, no matter what’s on their menu or their genealogy. If anybody can recommend one, I’m open to suggestions. Naders need not apply. It Doesn’t Get Much Better Than This Department: Linda and I were very fortunate last night (Thursday, May 18, 2017) to be invited to attend the official grand opening of PJD’s Beer & Wine Garden at 12 South 2nd Street. Not only was it a fun event with the unveiling of personalized seats and tables for those who purchased plaques attached to those furnishings to help alleviate the cost of Fernandina Beach’s extorted impact fee scheme, but we were treated to one of the best local musical groups I’ve heard anywhere on this island, ever. I couldn’t agree more, as Sean and his group could have stepped onto a stage at any venue and the crowd would have clamored for more when “last song” was announced. First of all, PJD’s in my opinion is destined to be one of the most popular joints in town, consistently packed with regulars, similar to those seated around the bar in the Cheers TV series. If you want to have a cold beer or glass of wine, talk about the latest news events, sports topics, or listen to your neighbors stupid chatter and add your two cents, or just chill out, then this is the place for you. It’s friendly, fun and the folks here will tolerate your nonsense, no matter how silly. But, getting back to Sean, I’ve heard that he and his group that consists of some very talented musicians, (Ernie Ealum, bass; Hot Shot Carter, steel pedal guitar; and Marcus Carter, guitar) may be performing there at least once a month on Tuesdays. If so, don’t even think of sitting in my seat, as I will not miss this very talented group, that sounds like they could have stepped off the stage at any Nashville, TN or Austin, TX musical venue. Talent, stage presence, chatter and personality combine to make this one of the most interesting and entertaining quartets of musicians I’ve heard in a long time. My favorite blog in forever. Why? Because it was positive. Other than the shot at Corrine (who everyone believes she is getting what she deserves.... finally), this was all good positivity. This is when you are at your best, Dave. Keep that up. I read every week, either way, but this week deserves a thumbs up from me. Enough to type a comment. I'll buy the next time iI see you! In Minnesota, Norwegians prize lutefisk-- jellied white fish eaten after it ferments a few months in a wooden tub. In Florida, Dave Scott promotes smoked mullet. Dave started that in the 1970s, as I recall, and is hasn't caught on nationally. Yet. Knowing Scott, I won't bet against it. I'm a Cubs fan. Forty plus years of mullet promoting is just warming up. Dave, I really enjoyed your discussion of the Lost Coast. 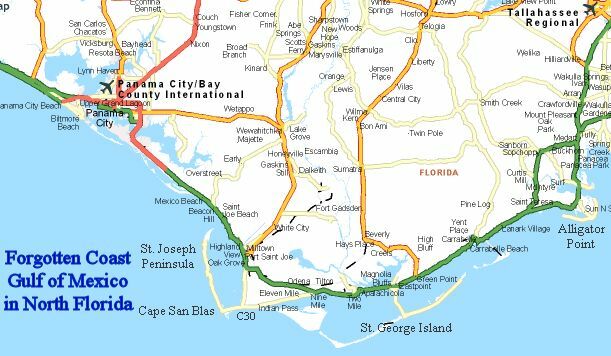 That is one of my favorite stretches of coastline in the state, as you can enjoy such great, relaxing views of the gulf along that route. I grew up in Leesburg and went to school at the University of West Florida in Pensacola, so I made that drive many times. Back then there was no I-10 (it was under construction) so sometimes I used the Hwy 90 route and other times Hwy 98 to traverse the panhandle. Either way, it took a long time but each offered it's own unique highlights. In addition to the the beauty of the Apalachicola area, driving through the Redneck Rivera (sometimes called Panama City) often offered a bikini sighting or two when the weather was right. On the other hand, Hwy 90 takes you through some inland points of interest. For instance, Chattahoochee at the time was the home of an institution that I cannot mention due to PC constraints. Suffice it to say that when I was a kid and was doing something I shouldn't, my mother would get exasperated and say, "son, you're going drive me to Chattahoochee". And lo, many years later, there I was, driving through Chattahoochee. That was also a landmark in that leaving Chattahoochee as you crossed the Apalachicola River you were suddenly in another time zone. This is a big state, Florida. One time, I veered north out of Chattahoochee to drive through Two Egg, Fl just because it was there and the name was a joke with my college buds. And either of these highways skipped along the edge of Elgin Air Force Base, an enormous piece of real estate. Bottom line is, there is a lot to see and do in Florida, but your Lost Coast piece brought back some great memories. Some I hope to experience again in a new light. Drop by PJD's tonight; I'll be in your chair. Marc, do you remember the Fain Theater in Leesburg? A visit from my termite guy today made me get out my contract to learn I'm not protected for airborne dry termites, just the voracious subterranean kind. Apparently not uncommon in FLA to exclude dry; harder to detect as they fly/swarm in---the good news is they don't eat as much or as fast. the bad is you might not know they're there without an attic inspection, at least not till the roof leaks! The wife and I looked at Apalachicola in our search for a warmer place. It got high marks and we seriously considered it as a place to settle. In the end it could not compete with Fernandina in terms of things to do and places to go. I will have to stop in at Pajama Dave's for a beer, thanks for the heads up on that. David, I had the pleasure of seeing Sean and his band perform on a recent Adults only cruise, piloted by our favorite pajama clad beertender. I was blown away by how utterly personable and fun these guys made the music they played. Most songs had a personal story that accompanied it and their roots in this town go WAYYY back. I will be in attendance on the various Tuesday nights when they are performing. As for the worm grunting business, I think I'll take a pass...Cheers.